This site uses the Notebook theme by Piper Haywood. We can move on to our minds and begin by sifting through our feelings, sensations, pleasures, pains, or numbnesses. […] I investigate my sensory surfaces and, after some time, give up finding any stable, self–sufficient ‘I’ anywhere along them. At last we come to awareness itself, to look at our very consciousness […] But to turn toward my center of awareness, I have to tell my awareness to turn back on itself. What we can say is that our personality is but the result of a combination of those five elements – to the point that the belief in its autonomy and permanence ends up being a suffering–causing illusion. In none of the mentioned clusters would we be able to detect the presence of an autonomous and unconditioned subject; therefore, the insistence in any of them will necessarily lead to suffering. I came across Prof. Correia’s paper when doing a bit of research on western vs. eastern perspectives on identity and the self. Side note: I don’t think I’ve ever seen such a strong profile photo as the one on Bob Thurman’s site. We watched “Power Up: The Work of Sister Corita” this morning. 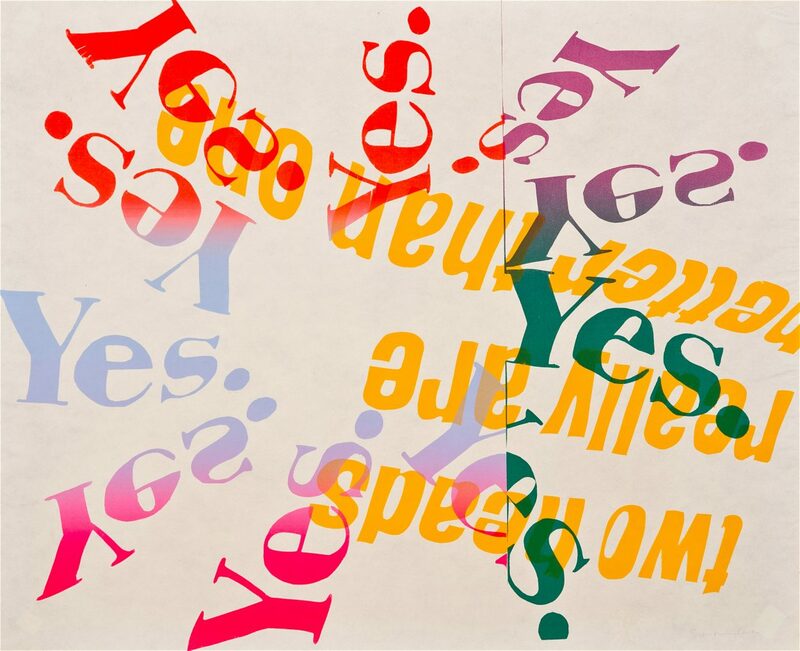 The talk was given by graphic designer Barbara Glauber (see Heavy Meta and Yale School of Art) at The Cooper Union in November 2018. 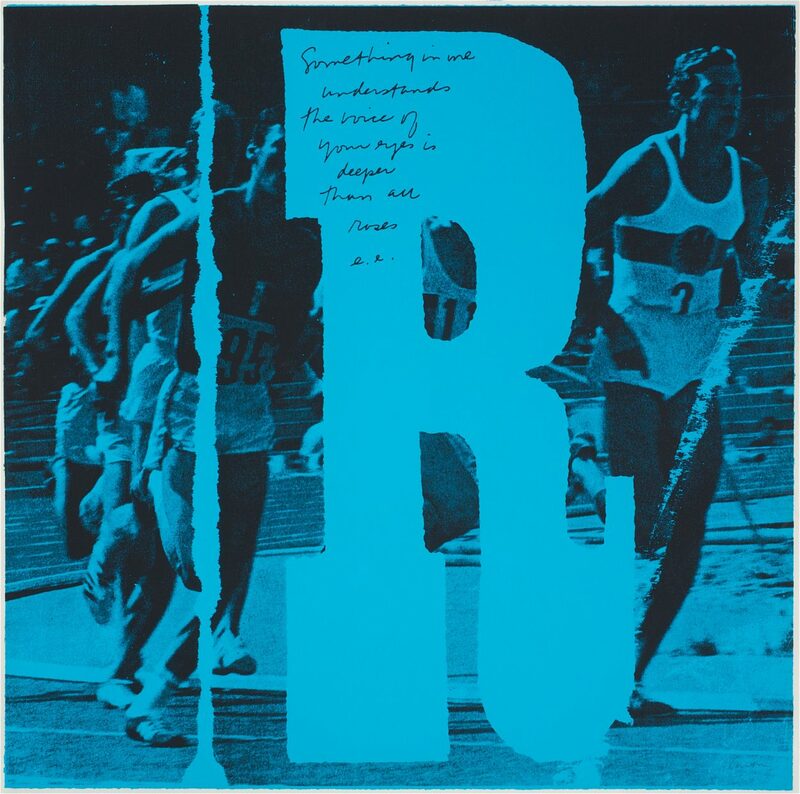 It is a superb talk, and I’m beyond pleased that we were able to find and purchase a secondhand copy of the out-of-print book Someday is Now: The Art of Corita Kent online. We have no art. We do everything as well as we can. Sister Corita was a nun, artist, and educator that worked in LA in the 50s-60s and in Boston later in life. See the ten Immaculate Heart College Art Department Rules. 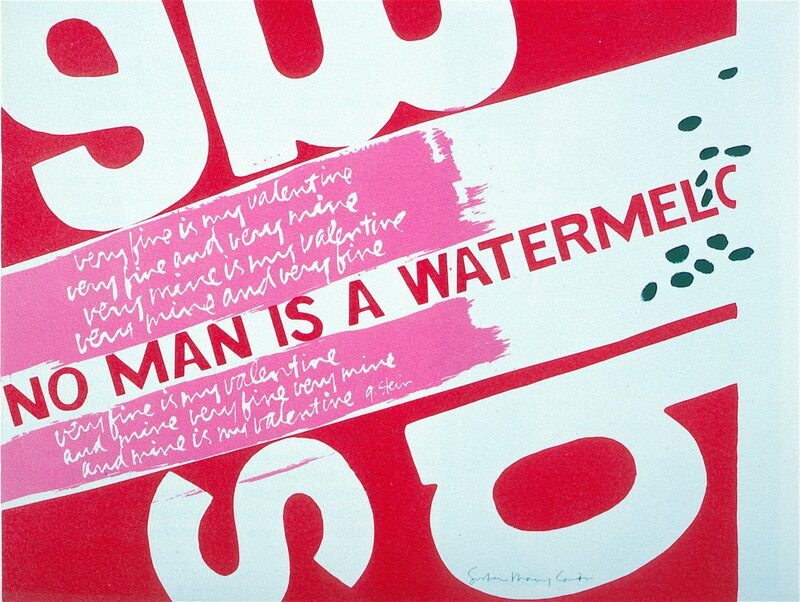 Corita Kent used appropriation without irony or cynicism. She identified, combined, and repurposed the hopeful in the everyday. She was a prolific giver that shared seemingly without expectation of return. She used optimism as activism. It is interesting that her appropriation of advertising copy seemed to wane later in life. Maybe advertising began to feel less optimistic to her, instead more sinister and insidious. I wonder at how difficult it must have been to leave the order. Not just because it meant a return to the secular after a lifetime of regulation and restrictions, but also because it meant that she had to leave the resources of the art school, the playground she had so carefully cultivated. Her later work is still incredible, but it seems more weary and a little more laboured. “Bogged down” is one way of describing it. Her prints from the 70s almost veer in to motivational poster territory. How to create or maintain the playground required for work with her sort of radical optimism? A major element is the physical space, both small (the room / studio) and large (the community / city). It is also the mental space. Both of these spaces come at a premium now, though. I struggle to get enough of either. It feels like there may be some sort of third space offered by working with the web, but I haven’t figured this out yet. When I try to work digitally, I get bogged down. How to experiment with the web in a way that is as gestural and intuitive as a line drawing? The images here are from the Corita Art Center website. See their online Collection for high-quality images and more details about her work, including transcriptions of the text within her prints. They are currently seeking donations to acquire these pieces. Donate to the Corita Art Center here. Over the holidays, Grandpa showed me Effie Bradley’s daily memoranda. Effie was his grandma on his mother’s side, so my great-great grandmother. I asked if Effie was short for anything, he wasn’t sure. It may have been Euphemia, but maybe Effie wasn’t a nickname. Certain quotes lodge themselves in your head. So many of the ones in my head come from the fourth edition of What is a designer by Norman Potter published by Hyphen Press in 2002. The words by which people describe themselves – architect, graphic designer, interior designer, etc. – become curiously more important than the work they actually do. In one respect this is fair, because under modern conditions it may be very difficult to find one word to identify their work, but such words tend to build up irrelevant overtones of meaning which are more useful as a comfort to personal security than as a basis for co-operative enterprise. All we can do is make good work possible, and be alert to its coming; never fooling ourselves that all good things come easily. To work well is to work with love. In raising consciousness of these matters, it should be remembered that our civilization sells itself through sensation, preferably with the volume turned up. This is good reason for designers to learn how to speak quietly, and to understand how it is that conversation becomes possible between people and things. And nearly every point in chapter 18, “Advice for beginners”, and 19, “Questioning design”. ‘Science explains the world, but only Art can reconcile us to it. What do we really know about the origin of the Universe? A blank so wide can be filled with myths and legends. I wished, in my mythologizing, to reach the limits of improbability, and I believe that I came close. You know this already, therefore what you really wanted to ask was if the Universe is indeed ludicrous. But that question each must answer for himself’. “King Globares and the Sages” is one in a collection of short stories by Stanisław Lem titled Mortal Engines. It was published by The Seabury Press in 1977 and by Penguin Classics in 2016. All of the stories in the collection were chosen, translated, and introduced by Michael Kandel. I should like to say two things, one intellectual and one moral. The intellectual thing I should want to say to them is this. Never let yourself be diverted either by what you wish to believe or by what you think would have beneficent social effects if it were believed. But look only, and solely, at what are the facts. That is the intellectual thing that I should wish to say. The moral thing I should wish to say to them is very simple. I should say love is wise, hatred is foolish. In this world which is getting more and more closely interconnected, we have to learn to tolerate each other, we have to learn to put up with the fact that some people say things that we don’t like. We can only live together in that way. And if we are to live together and not die together, we must learn a kind of charity and a kind of tolerance which is absolutely vital to the continuation of human life on this planet. From Bertrand Russell interview with John Freeman for the BBC’s “Face to Face”, originally aired 4 March 1959 (source). Bertrand Russell’s response when asked what lessons from his life may be worth imparting to future generations. Russell was 86 years old when the interview aired. Separate but related: “A Little History of Philosophy” by Nigel Warburton. Very digestible and enjoyable. Must be noted that the author omits a few big names and focuses entirely on Western philosophy. Fair enough, would probably be 300% longer otherwise. This idea began as a bit of a joke of course, over whiskey in Nicosia late at night we said “Hey, we should run a book store with this stuff.” And like most things that are worth doing, the jokes are worth following through because they’re fun. David Reinfurt on the beginnings of Dexter Sinister from his 17 March 2009 talk as part of the Walker’s Insights Design Lecture Series. Quote is a paraphrase, see 33:45 for full comment. From the first chapter of The Human Stain by Philip Roth. Such a great and concise phrase. Hadley Freeman referred to it recently in her Guardian column when describing the court of Twitter’s harsh and questionable justice. Databases are generally associated less with open-endedness than with the muted horrors of bureaucracy, in which the fear and pain and misery of human experience is reduced to data and evidence. Let me never fall into the vulgar mistake of dreaming that I am persecuted whenever I am contradicted. Emerson, Ralph Waldo. Emerson in His Journals. Ed. Joel Porte. Cambridge, Mass. : Harvard UP, 1982. 206, entry dated Nov. 8, 1838.